This year’s 1000 Years of Traditional Crafts Festival staged in the grounds of Lincoln Castle proved to be a tremendous success. Compared to the launch event in 2011, which was a smash hit with 1,700 visitors, this year’s festival saw the event flourish to approximately 4,000 visitors! Jessica Marshall, Senior Project Assistant and Event Organiser for Lincolnshire County Council expanded “We are really happy with the success of the 2012 1000 Years event, feedback from both the demonstrators and members of the public has been brilliant with many comments about how interesting and interactive the event was. Children particularly seemed to enjoy all the activities that were provided for them to try. I’m already looking forward to future 1000 Years events!” Staged over the weekend of 29th and 30th September 2012, outside the Castle walls, there were Tastes of Lincolnshire food stalls and food demonstrations whilst inside the Castle walls, there was plenty to reveal. This year’s event provided the general public with the first chance to visit the city’s new Heritage Skills Centre. 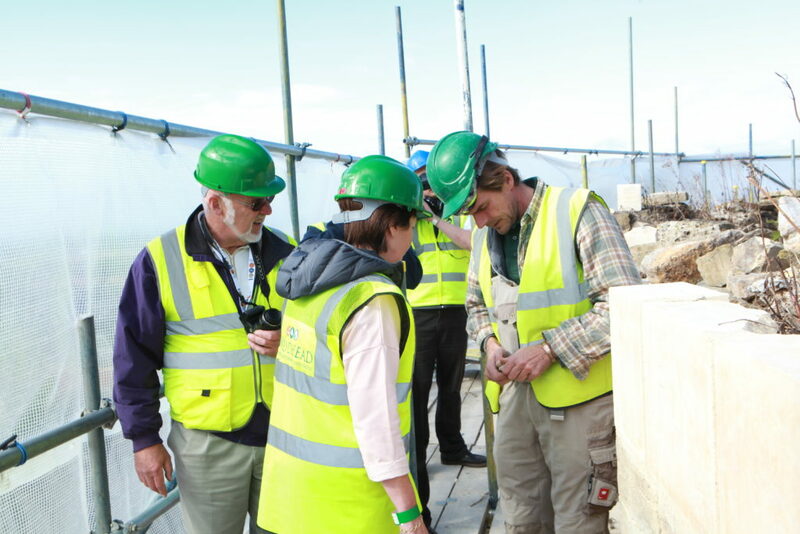 The £1.5 million centre, the first new building inside the castle for over 100 years, will provide training workshops for recruits to learn traditional crafts such as stone masonry and lead work, as well as being a new visitor attraction for Lincoln Castle and Lincoln. The Centre, built by Robert Woodhead Ltd, was officially handed over on Thursday 4 October 2012, whilst the formal opening of the Heritage Skills Centre will take place on Friday 8 February 2013. The festival was organised by Lincolnshire County Council whilst Robert Woodhead supported the event in a variety of ways. They provided stone and lead work demonstrations, films showing how the Heritage Skills Centre itself was built, as well as complimentary cupcakes! The demonstrations proved particularly interesting to architects, local stonemasons and other trades people, as well as the general public. For more information on Heritage Skills Centre please see Robert Woodhead’s four films as well as our case study, A New Chapter Written in the History of Lincoln Castle.